A lot of has been politicians/warlords in the party still like to ‘control’ people and determine the outcome of our national party elections! They like to label people as ‘not team player’ etc and play ‘cai dan’ list. They know who they are and keep on repeating that their preferred President’s list is complete and multi-racial bla bla bla. 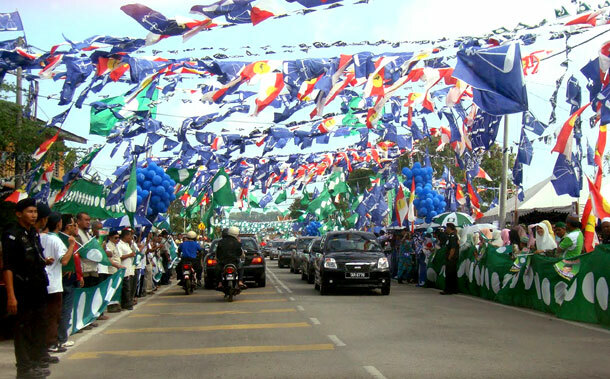 In fact after 2008 GE they should have bowed out and allowed the party to leave BN and today 2018 would have been a different story! As Malaysians go to the pools to cast their ballots tomorrow (May 9), they will possibly be deciding for the future of Malaysia. Make or break, they must seriously think extremely hard to identify and decide who they think are the honest and sincere candidates (not political party or coalition) who are committed to serving the rakyat (people). They must elect a clear majority of lawmakers who know no fear or favour and they can be found on both sides of the political divide. View the above video clip about the ancient Greeks, who introduced democracy to civil society, classifying societies into three types of people - idiots, tribe peoples and citizens. After six decades of Merdeka (Independence), Malaysians are at a political crossroad to determine theirs and Malaysia’s future. In this 14th General Election (GE14), the future of our children and generations to come are also at stake. 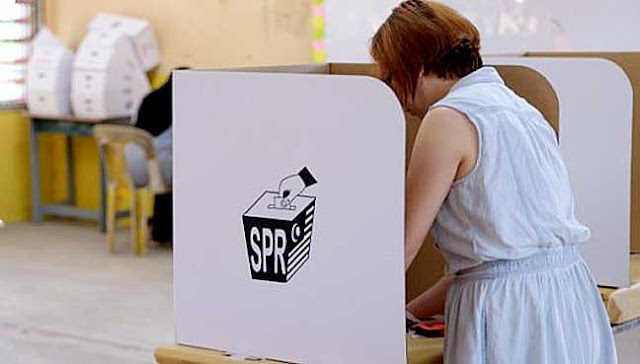 “There is no doubt that the political power is in the hands of the rakyat (people) who exercise their electoral rights, at least once every five years,” Gerakan Deputy Speaker Syed Abdul Razak Alsagoff said. “That power is in the one or two ballots that Malaysians get to cast to elect the assemblymen and MPs of their choice,” he added. Syed Razak urged Malaysians to exercise their electoral right with utmost responsibility for the nation. “They must decide not based on emotions or hatred. 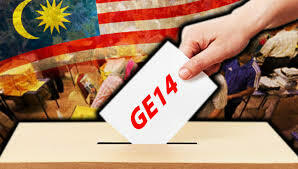 They must weigh the pros and cons of every GE14 aspiring candidate offered for state assemblies and Parliament. 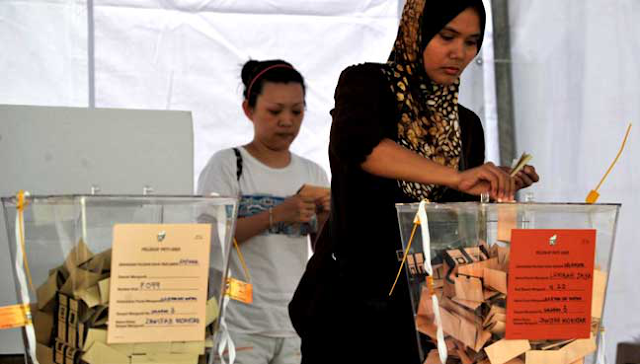 As Malaysians go to cast their ballots on May 9, they must decide who they want to elect as their assemblyman and MP. In the run-up to polling day, political emotions will run high but this must not be allowed to dominate our ability to think carefully and decide for the future and our generations. > Understanding the distinct roles of an assemblyman and an MP (Member of Parliament). With the above cleared, Malaysians should decide wisely by identifying the good and bad apples from both sides of the political divide. This means you should elect only the good apples so that decisions and policies made by lawmakers in a state assembly and Parliament are naturally also good. BUKIT LANJAN: I am a rational Malaysian First! Are you? Hello fellow Malaysians in N.37 Bukit Lanjan, Selangor. Something is happening in Malaysia and also particularly in Bukit Lanjan right now. There is a wind of change but is it for better or for worse? Please don’t be emotional and quick in making decisions. Decisions need to be made rationally. In this 14th General Election (GE14), Malaysians seem to have made their “flavour of the day or month” known by turning out in droves to attend GE14 public rallies staged by Pakatan Harapan (PH) featuring their top guns - especially former Prime Minister Tun Dr Mahathir Mohamed. I acknowledge and agree that every Malaysian, aged 21 and above and have registered as a voter, has the right to choose their leaders. But that right is flawed if decisions are made irrationally. Barisan Nasional-Gerakan (BN-Gerakan)’s N.37 Bukit Lanjan 14th General Election (GE14) candidate Syed Abdul Razak Alsagoff has promised to be an “extremely action-oriented” assemblyman, if elected. “For example, if there are complaints of cleanliness and health problems from a particular neighbourhood, my public service team will act immediately. “They will alert and remind the municipal or health authorities on the complaints. If the complaint is not attended to within two weeks, I will get contractors to do the job and bill the local council,” Syed Razak said. Barisan Nasional-Gerakan (BN-Gerakan)’s 14th General Election (GE14) candidate for N.37 Bukit Lanjan Syed Abdul Razak Alsagoff says his top priority is to ensure that municipal services are delivered efficiently and to the rakyat’s satisfaction. Syed Razak a.k.a Pek Moh (White Haired) Bukit Lanjan said: “I will be a fearless watchdog for my constituents, if elected to serve them. “I will serve full time, without fear or favour, I will hound the municipal councils to settle every complaint that I receive,” he added. Pek Moh, whose mother is Chinese, is Gerakan’s first Malay candidate for Bukit Lanjan in 40 years. It is also Syed Razak’s maiden attempt in a general election. He is locked in a straight fight with incumbent two-term assemblyman and caretaker state executive councillor Elizabeth Wong. Barisan Nasional-Gerakan’s N.37 Bukit Lanjan candidate Syed Abdul Razak Alsagoff is appealing to voters to use their “rational thinking”, not “emotion”, to decide who deserves to represent them in the next Selangor State Assembly. “There is a distinct difference between the responsibilities of assemblymen and MPs. Assemblymen are lawmakers for a state and MPs are lawmakers for the federal level of governance. “And there is this factor that needs to be considered … check and balance,” he added. 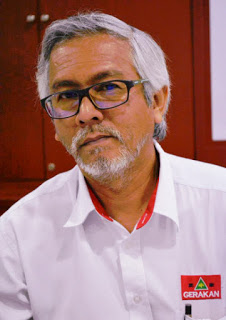 Speaking to Pulse Of Bukit Lanjan after his walkabout in Aman Puri on Sunday night (April 30), Syed Razak a.k.a Pek Moh (White Haired) said voters should try to identify, without emotions, and judge the candidates contesting in any particular constituency, be it state or parliamentary. “It is not just about voting a party or coalition. It is about electing that individual to represent and serve you.